When that car battery finally gives up the ghost and it’s time to replace it, drivers have options. First, let’s be clear that you should always get a replacement battery that meets or exceeds your vehicle’s specifications. But you may have some special needs. When they first put the battery into your vehicle at the factory, they had no idea where it would end up or how you would use it where you drive. 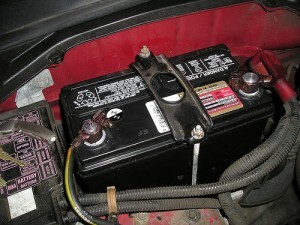 That battery was chosen to meet the needs of a wide range of motorists. Replacement time is a good opportunity to talk to your service adviser about how you use your vehicle, so if it’s necessary you can get a battery upgrade. An obvious criterion is where you live, whether in Colorado or somewhere else. Cold starts require a lot of power from your battery. The colder the climate, the more power is needed. This comes from a combination of cold sluggish oil and the slower chemical reaction within the battery itself when it’s cold. If this sounds like you, talk to your service adviser about a battery with more Cold Cranking Amps (CCA). The next consideration for drivers is reserve capacity. This is the number of minutes of reserve power the battery has under a particular load, If your driving is mostly short stop-and-go trips around town, your battery may not have time to fully recharge while driving. You may need to tap into those reserves to get started again. Also, modern vehicles have a lot of always-on systems that draw on the battery – things like the security system, remote sensors, and vehicle computers. These combine with the electronic entertainment system, sensors, heated seats and even chargers for phones, tablets and computers to put a fairly high load on the battery. Your service adviser can give you advice on the reserve capacity you might need. Most standard batteries are “wet-cell”, meaning they are filled with liquid battery acid. New Absorbed Gas Mat (AGM) batteries are “non-spillable”, which makes them safer. They also have a longer life span and greater life cycle than wet-cell batteries. Off-roaders like these batteries because their performance isn’t affected by steep inclines and odd angles. Lastly, drivers should consider the warranty. Premium batteries come with a longer warranty. Warranties are typically either full-replacement (the battery is replaced if it fails within the warranty period) or pro-rated (a partial credit is given for the failed battery depending on how far into the warranty period you are when it fails). Your service adviser can help you decide if a battery upgrade is right for you and which battery will best meet your needs.